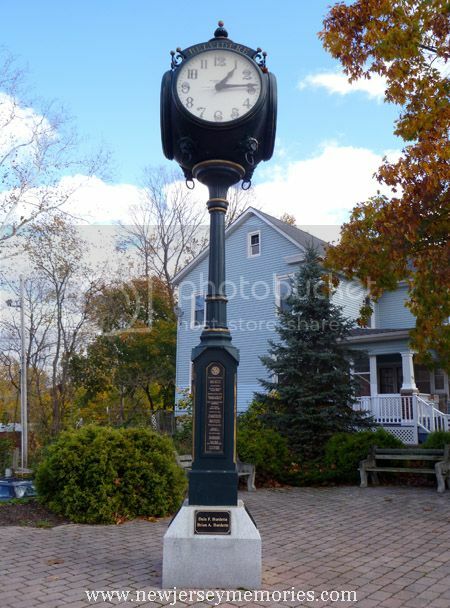 Last week I showed you the town square of Belvidere, New Jersey, including the Shoe Tree Oak. 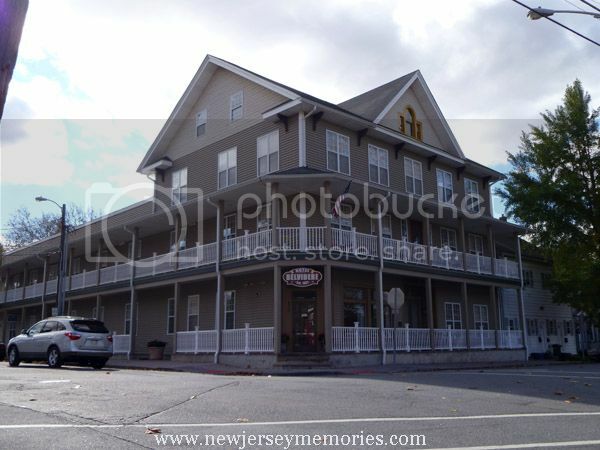 This week I'm showing off some interesting buildings that we discovered in Belvidere as we drove around the town. First up, The Twin Mills of Belvidere: The Major Robert Hoops and the Red Frame Mill. 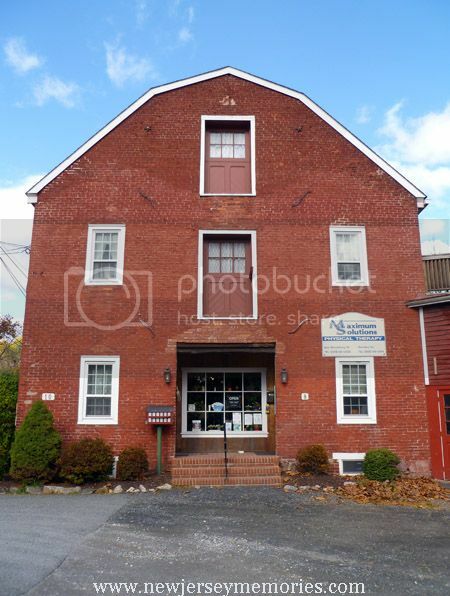 The Robert Hoops Mill was built in 1790 by Hoops for felt but later converted to a gristmill. 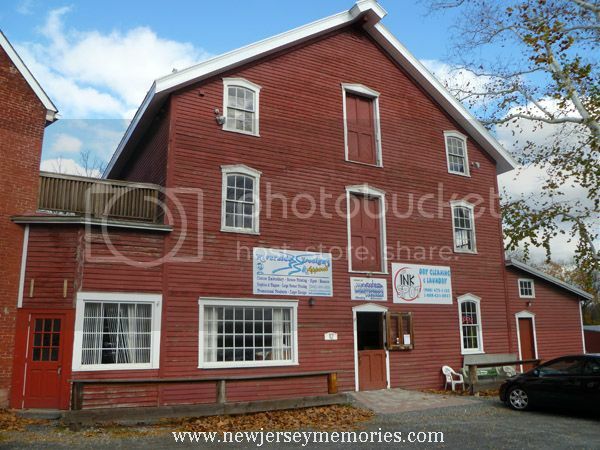 The Red Frame Mill was also a gristmill, but owned by someone else. 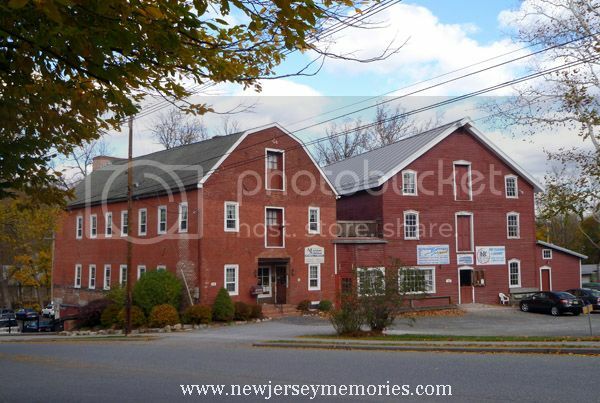 For many years in the 1900's, the mill and the adjacent Red Frame Mill were both operating simultaneously and independently of each other as feed mills. I love the little matching mailbox in front, to the left of the window. At least that's what I think it is. 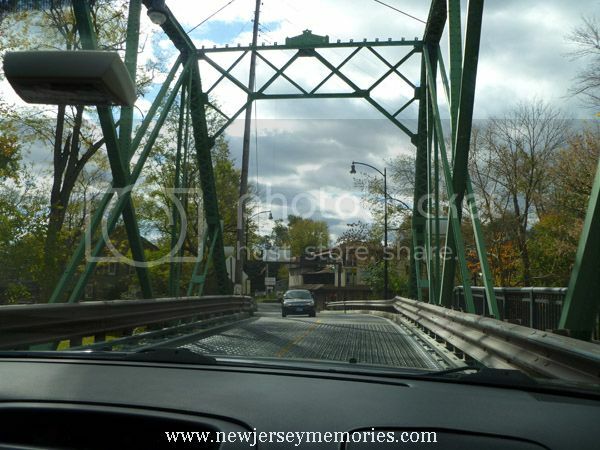 We then drove down Water Street and ended up on the Riverton-Belvidere Bridge, driving over the Delaware River. These last few photos were taken from inside the car. 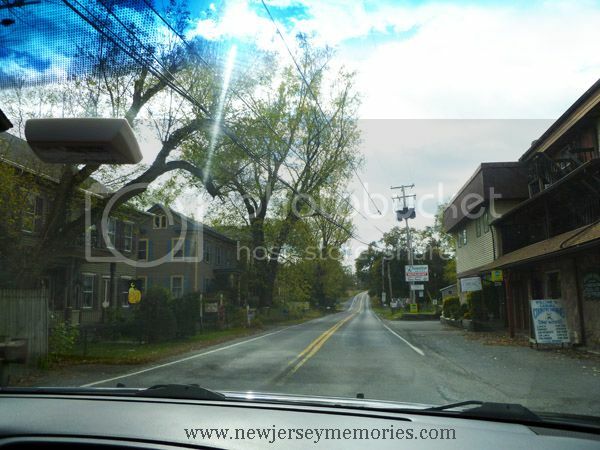 We found ourselves in Riverton, Pennsylvania, a part of Lower Bethel Township, Pennsylvania. 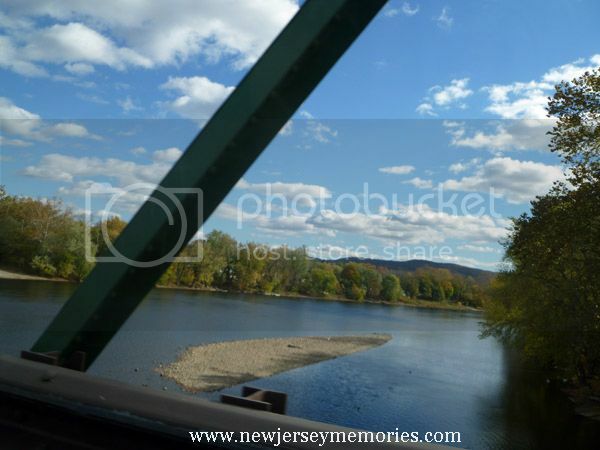 It looked like an interesting town to explore one day, but it was getting late and we drove back to New Jersey, admiring the Delaware River as we drove over it. We liked Belvidere so much we decided to come back another day. I'll have those photos next week! Check out all my posts on Belvidere! Somehow that town looks like the American dream. Wonderful photos. It's a nice town and the people are so friendly! A cool little town with some great old buildings!! I too love that little matching mailbox. Great buildings. So do I. I love old mills. Agreed, the matching mailbox is adorable. From our house to your house we are wishing you a very HAPPY THANKSGIVING. Thank you so much. Happy Thanksgiving to all of you! 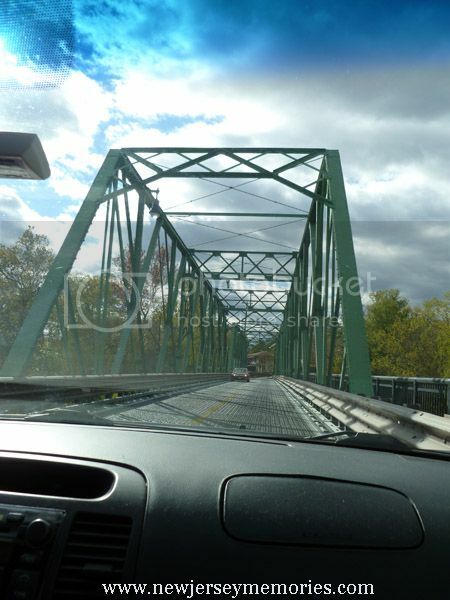 I swear I was on that bridge - my dad took me on a drive through that area of New Jersey on our last day trip together. I'm sure you have happy memories of that trip . . .